Peggy Guggenheim, Georgia O’Keefe, and Simone de Beauvoir were among the most stylish women of the twentieth century but they lived in a very different realm from their more conventional contemporaries, like the Duchess of Windsor and Grace Kelly. While the Duchess and Princess Grace were famous for collections of Hermès handbags and jewelry from Cartier and Van Cleef & Arpels, Guggenheim and her crowd sported embroidered caftans, printed turbans, strands of antique beads, and avant-garde jewelry by Alexander Calder. 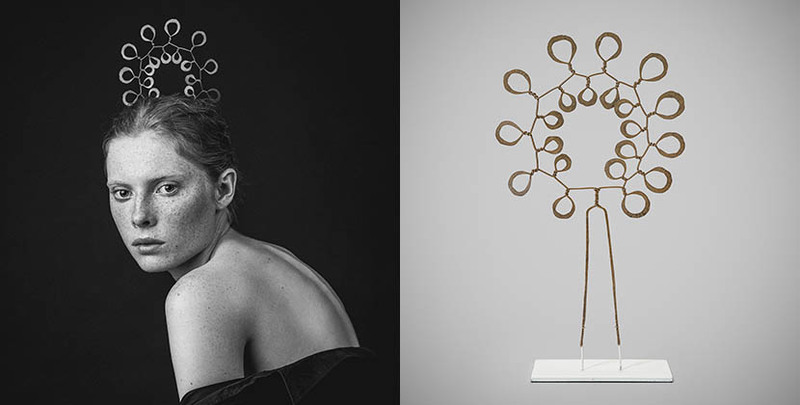 An American sculptor known for his whimsical mobiles and monumental sculptures, Calder started making jewelry at the beginning of his career for a select group of friends and clients. 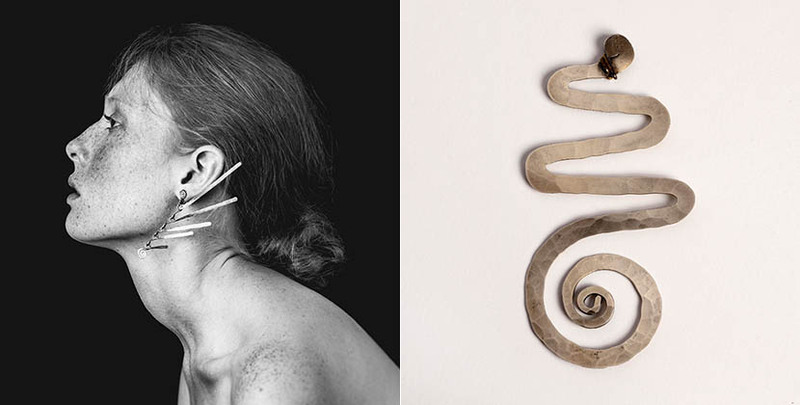 His first earrings were caricatures of Parisian ladies, similar to his circus sculptures. 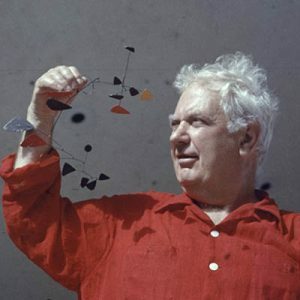 In the early 1930s, Calder came up with his signature jewelry style when he started to hammered flat metal spirals out of brass, silver, and gold wire in his studio. 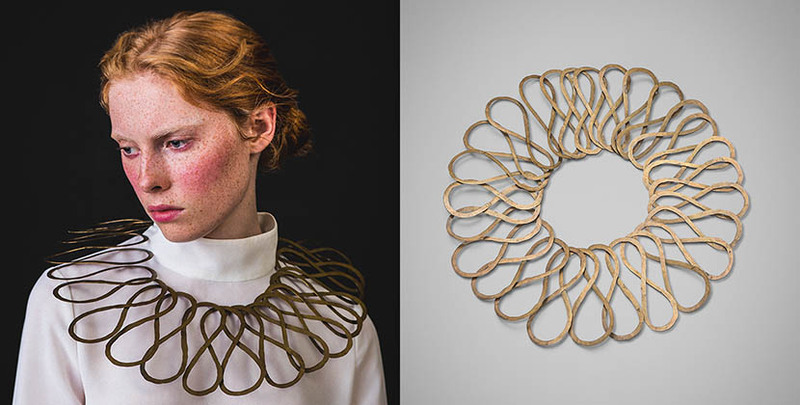 In recent years, Calder jewelry has had a renaissance. In 2007, the Cooper Hewitt Museum staged an exhibition of his jewelry that became one of the institution’s most popular shows. The book that accompanied the presentation is now a collector’s item with a $500 price tag for the hardcover edition. Multiple institutions including New York City’s Museum of Modern Art and The Metropolitan Museum of Art own Calder necklaces, earrings and bracelets. His jewelry has been on display at the Victoria & Albert Museum in London, but until now there has not been a solo exhibition of his jewelry in the United Kingdom. 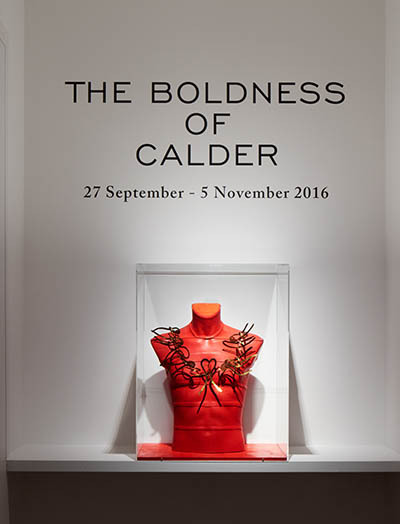 The Boldness of Calder at the Louisa Guinness Gallery unites 35 examples of the artist’s necklaces, bracelets, brooches and other designs. Half of the pieces come from private collections, including the Calder Foundation and Louisa Guinness’s personal jewelry box, while about fifteen pieces are available for sale and range in price from around $50,000 to $500,000. In the gallery, Calder’s necklaces are displayed on mannequins draped with bright red fabric. 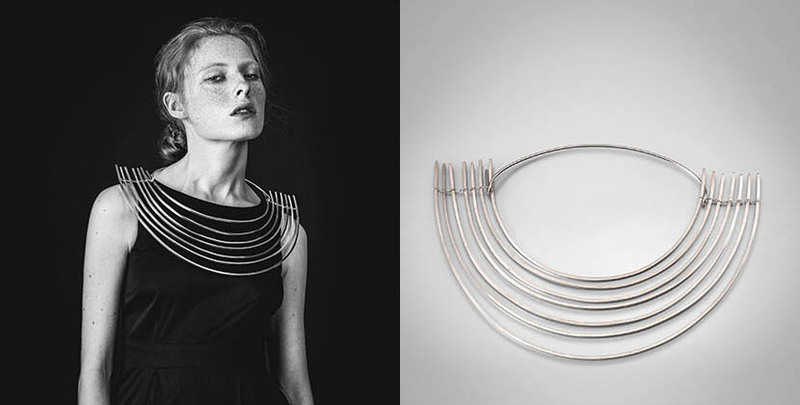 They look as striking as the vintage photos of famous women—Georgia O’Keefe, Angelica Houston, and Peggy Guggenheim—wearing the jewelry lining the wall. The exhibition is also accented by a new series of Alexander English photographs showing Calder’s jewels on model Anna Tatton (seen in the slide show above). 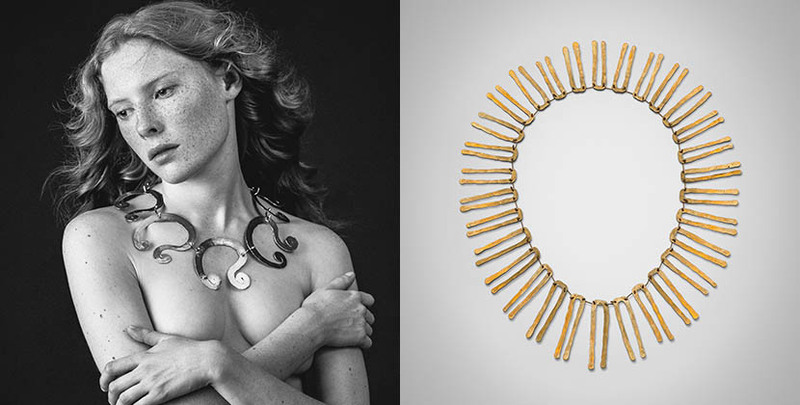 These images prove the adventurous artistry of Calder’s jewelry that was crafted over half a century ago is timeless. The jewels are eons away from the delicate diamond parures and emerald brooches that were popular during the period when the pieces were made. 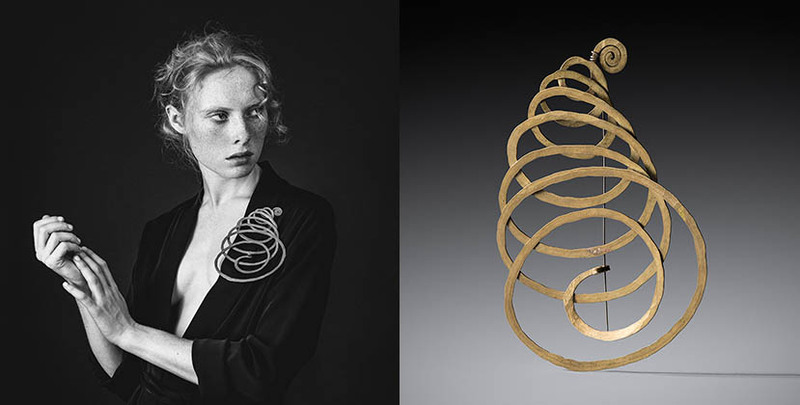 Calder was a jewelry visionary who created pieces in brass, steel, silver and gold and bestowed them upon a select group of adventurous women with personal styles that would still look modern today.